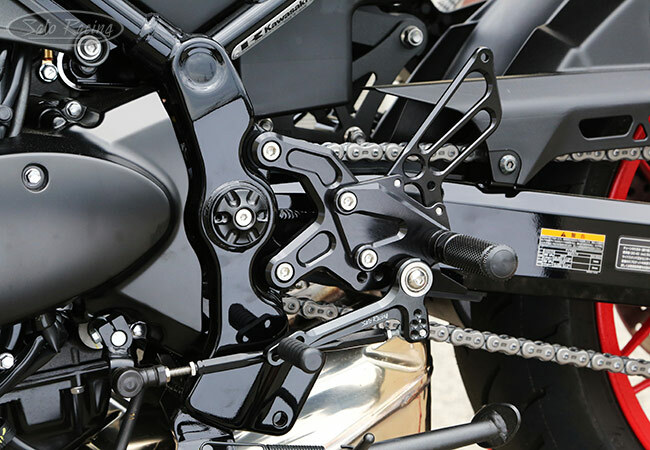 SATO RACING Rear Sets for 2018 Kawasaki Z900RS is a track-engineered design that provides 4 adjustable positions that bring your feet significantly higher up and further back compared to stock, for a more aggressive riding position that is well-suited to the fast straights and steep lean angles encountered on the track. 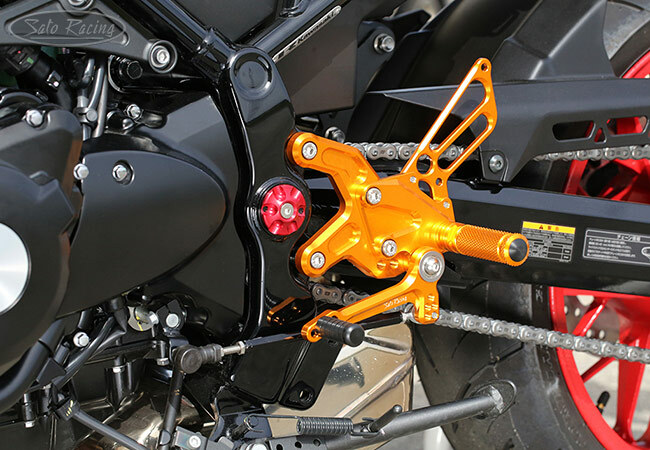 These high quality Rear Sets are CNC-machined from high strength billet aluminum with your choice Black, Silver or Gold anodized finish. 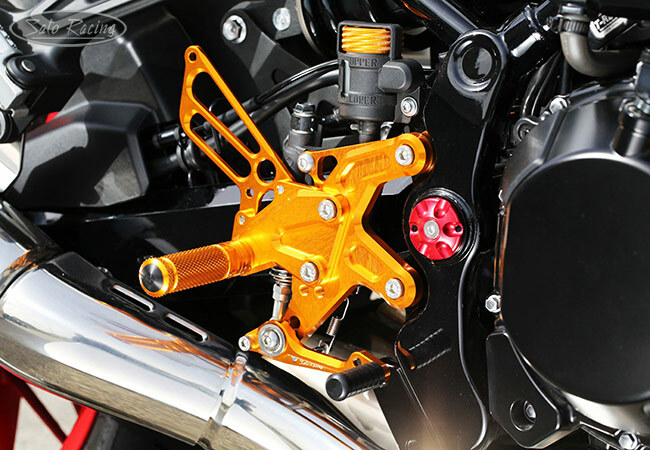 Our Z900RS Rear Sets are fully compatible with the stock brake light pull switch and ABS. 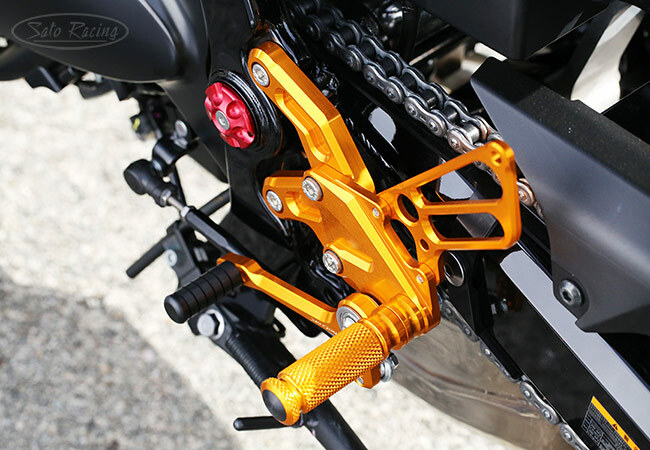 The Step Plate can be adjusted 4 ways so you can find the ideal Foot Peg position for your riding style. 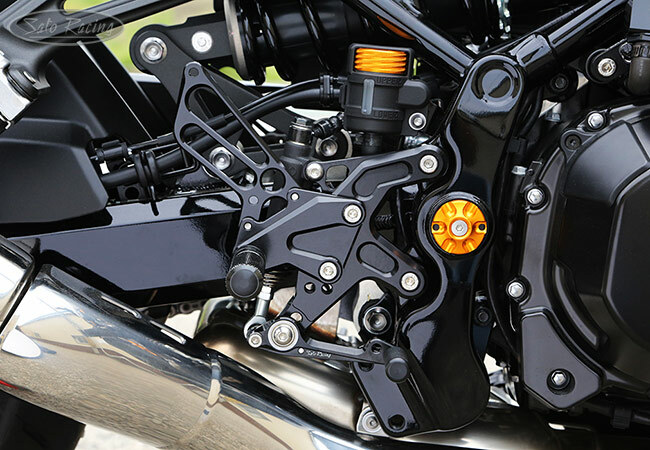 The range of positions is set far back compared to stock to make it easier to maintain a 'full tuck' body position. The high foot position is ideal for corner carving, since you can go lower without scraping the pegs. 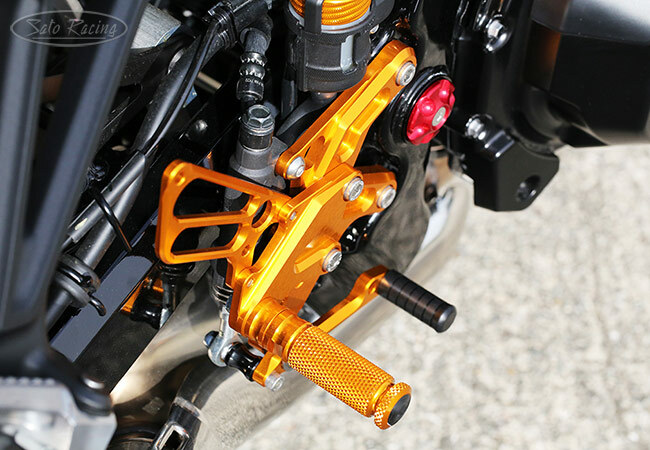 These Rear Sets are available in Black, Silver (clear metal) or vivid Gold anodized finish. 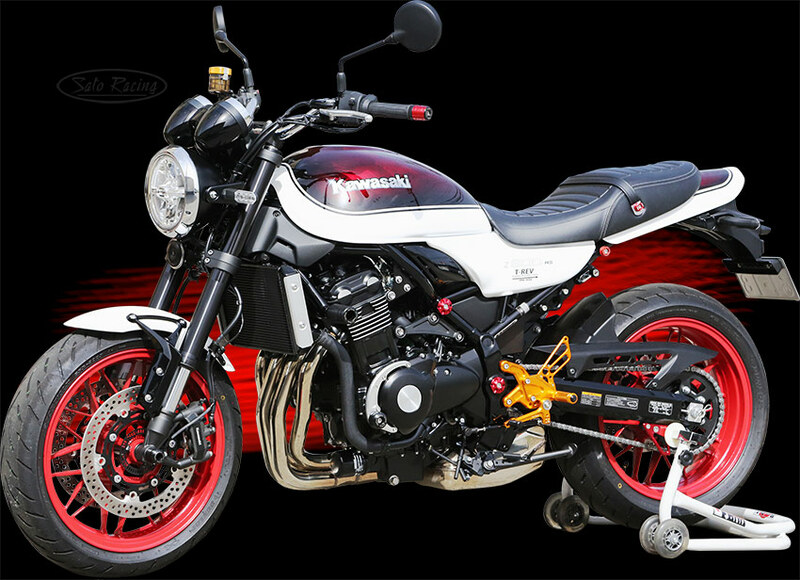 Also shown in these photos: Brake Reservoir Cap and Frame Plugs (sold separately).